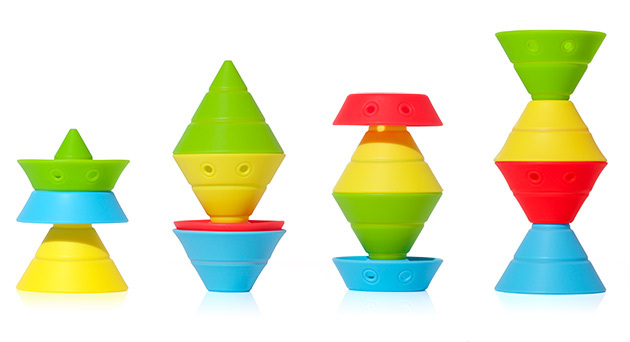 Hix is a versatile new construction toy consisting of four convertible cones made of elastic silicone rubber. Each cone transforms into four basic shapes which can be stacked and nested in a myriad of different configurations. 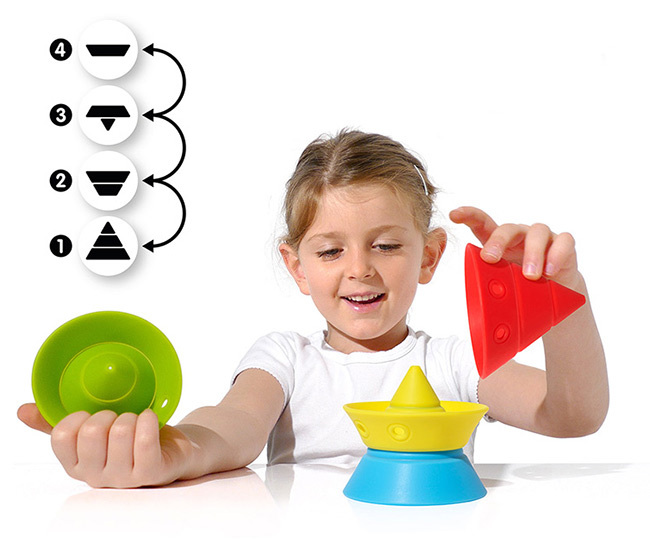 Hix is a delight to fidget with and makes geometry accessible and fun for all ages. It playfully trains visual-spacial ability, hand-eye coordination, and fine motor skills. Finally, you have smart building blocks that don’t hurt when you accidentally step on them nor make any noise when tumbling down. Mod. int. dép. , pat. pend.